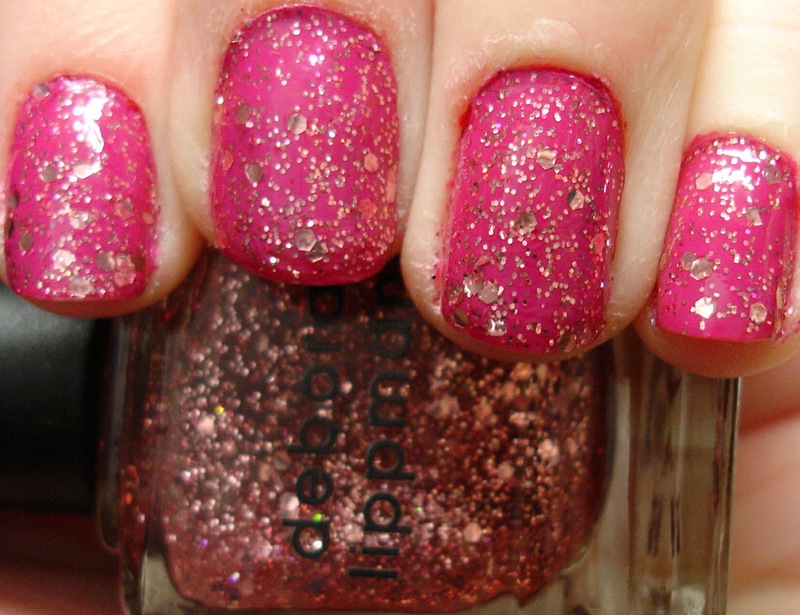 This is another manicure I wore before Christmas, using one of my fabulous Deborah Lippmann polishes! For these nails I started off with two coats of OPI Ate Berries in the Canaries, one of my favorite pinks. It is a bright berry creme, with really nice application. On top of this, I added two coats of Deborah Lippmann Some Enchanted Evening, which contains both large hex and small pink glitters. 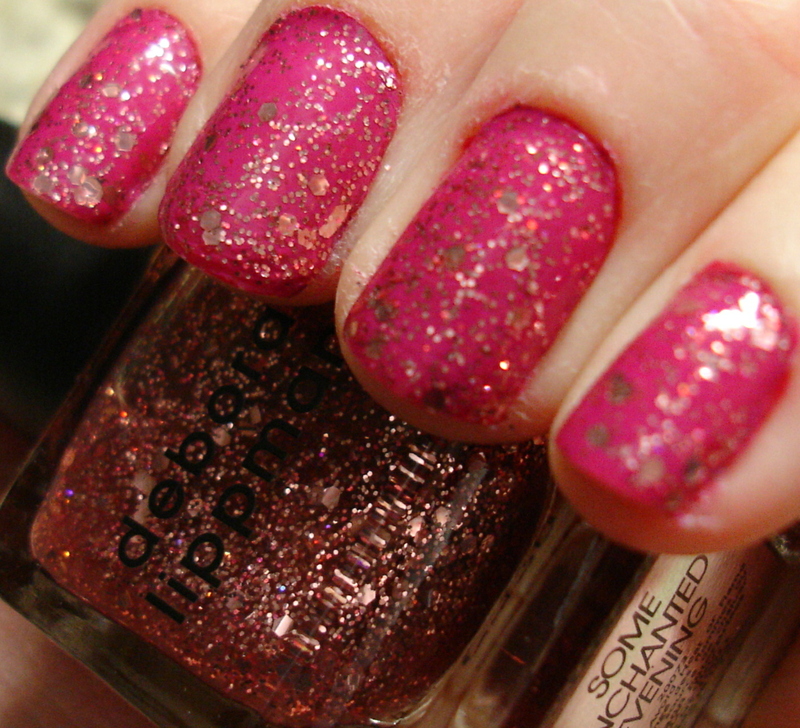 It is a much more dispersed glitter, which I think would be very hard to achieve opacity with. However it works great as a topcoat! These were very fun (and very pink) nails - I am loving all of these chunky glitters! I have now worn all of the polishes in All That Jazz trio by Lippmann and they were all great - definitely worth getting if you haven't yet! This polish looks so rich. Its so pretty with the glitter ontop! Love it. I also love your picture with your kitty playing with your polish. I'm a sucker for cats! hurray for glitter lippmann's! Happy new year!